This year's Meditation in the Forest is well underway with a wonderfully varied full house. Such a delight to have old and young, people from all walks of life; all treating themselves to time out and gathering for a dedicated period of meditation. It has been challenging and rewarding for me to prepare the sessions on contemplation, this year’s additional theme for the retreat. My sense is that contemplation is one of the least appreciated of meditation’s pantheon of possibilities and I plan to share the theory and techniques more widely – probably will include some aspects of it in the tour of workshops planned for July onwards up the East Coast. Camberwell Town Hall. They followed up by attending a weekend retreat in the Yarra Valley – before the days of the current Gawler Centre, though the property had just been purchased. 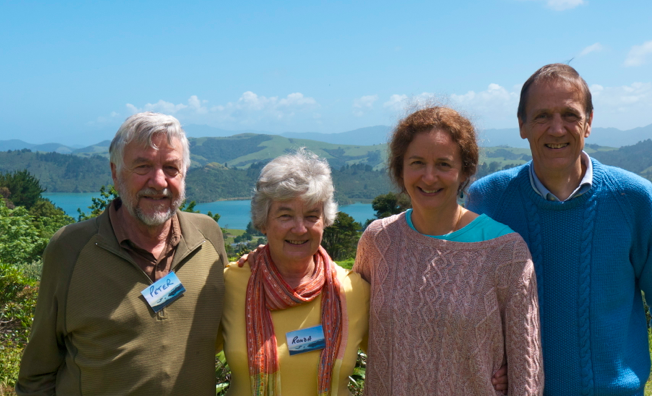 Among the numerous retreats we have attended the most memorable have been Meditation in the Desert in 2006 and Meditation under the Long White Cloud in New Zealand last year. Through such activities we have come to know Ian and Ruth for the great work they do. We also appreciate the support they have given for what has become almost an obsession for me, and that is doing our bit to improve the lives of people in rural Nepal. It all began with a trek in 1993 with some friends from my Scouting days, followed by further visits, with Ronda at my side, as we were drawn back by the friendships we had formed with the people of Paudwar village. We began to understand what life is like in a country that is rated by the UN Development Program Multi-Dimensional Poverty Index to be in the bottom 3% of countries of Asia/Oceania. By 2008 Krishna Pun, whom we had met in 2001 as Science Teacher and who subsequently became headmaster, had been forced out of his village by the threats of Maoist guerrillas. He was living in Kathmandu with his two children at a private school, while in order to support the family his wife Sita had taken a job as a nanny in Israel. She is still there, hoping to return home soon. Krishna shared with us his dreams which included the introduction of English medium teaching at Paudar school so that the village children could gain the benefits that his own children enjoyed at a private school. That led in 2009 to my joining Rotary International and registering the Nepali Village Initiatives Project. Our objective was not to deliver aid, but to help the villagers with their own initiatives for progress. We firmly believe that the best way to help such a poor country is to enable the people to help themselves. And one of the best ways to do that is to improve education. We were appalled to learn that as many as a third of teachers in rural government schools had finished school at year ten and began teaching without training. 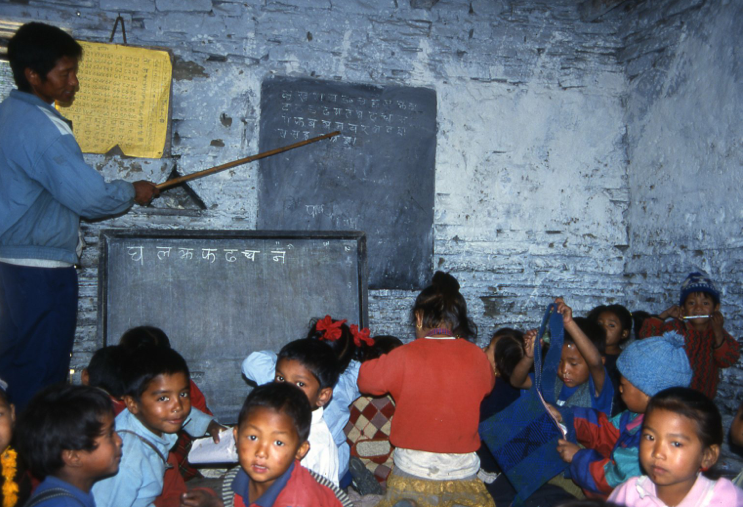 They knew nothing better than “chalk and talk” to a sheet of slate on the classroom wall. No wonder the children were inattentive. 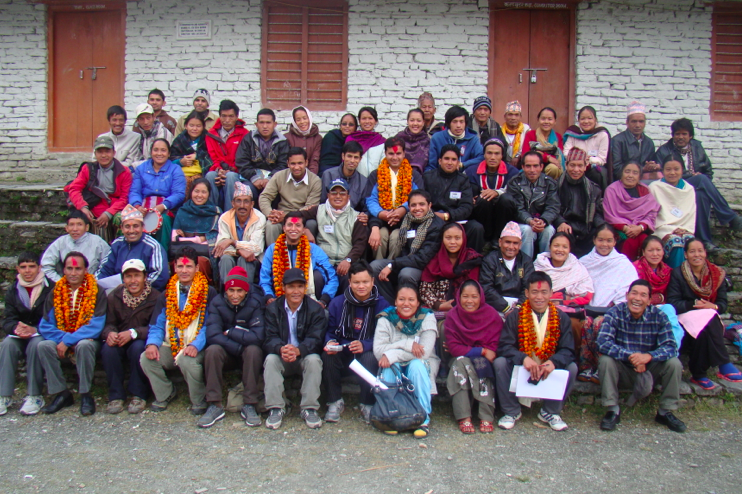 And so we became involved in the delivery of teacher training, utilising the services of REED, a Nepalese NGO that had built its capabilities working in the Solo Khumbu (Everest) district with support from the Australian Himalayan Foundation, the UK Himalayan Trust, UNICEF and others. So began what has been a three year program delivering teacher training to 40 teachers of Paudwar and neighbouring villages. 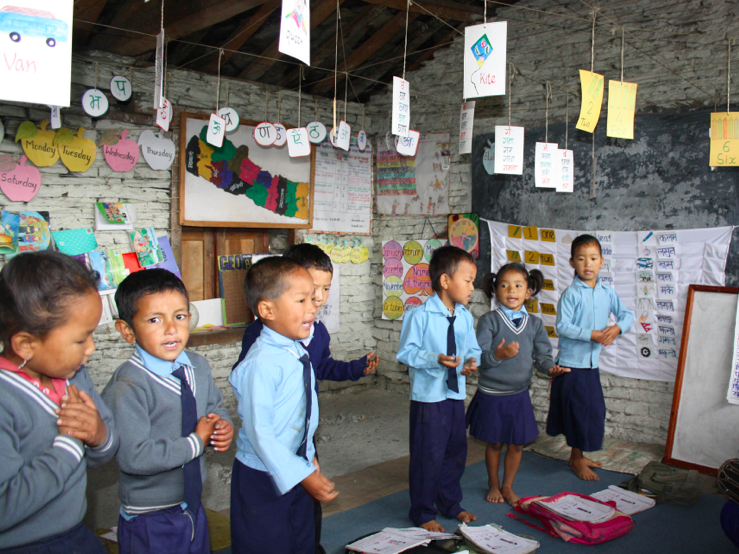 This year we are ready to move on, though to do so we have had to set up LEARN as a new NGO (“Lifting Education, Advancing Rural Nepal”), as REED’s commitments to AHF, now in receipt of Ausaid funding, have meant they can no longer service our needs as well. This has been a blessing in disguise, as we have found that by expanding our program we can reduce our costs per trainee day – delivering more bang for the bucks. This year we expect to have 160 teachers in training! It has meant a bigger budget and the need to seek more funding, which you can read about in the newsletter published at our website www.nepalaid.org.au. I will be returning yet again this month, with three volunteers, to observe and assist a training course and to deliver a holiday program for children. One of our group is Susan Carew, who has taken it upon herself since 1998 to work as a World Peace Clown. You can read about Susan, including her receipt of a Rotary Peace Scholarship and her travels in Russia with renowned medical clown Patch Adams, at her website www.worldpeacefull.com. Readers of this blog may know her from her past working associations with Siegfried Gutbrod. Susan’s problem is that, working mostly as a volunteer with no fixed income, she has not the money to cover her travel costs. As we are convinced that she has much to offer both the teacher training and the holiday program we want to support her, and so have launched a funding campaign. Please go to http://www.chuffed.org/project/send-an-education-clown-to-nepal/ to find out what it is all about. Most of the needed funds have been raised - just a little more is needed - can you help? I wish to express my warmest thanks to Ian, not just for his own contribution to this cause, but for this opportunity to share with others our passion to help the people of Nepal. Little did Krishna know, when he shared his dreams with us six years ago, where they might lead!